The capital city of Rome is Italy’s masterwork. You can marvel at the Colosseum, Vatican City and Roman Forum with just 48 hours in the city, thanks to a UNESCO-listed historic centre with a roll call of millennia-old ruins and soaring domes. Away from the well-worn paths, Rome has plenty of surprises up its sleeve. Dive into tangled medieval neighbourhoods like Trastevere for narrow trattoria-lined streets and hidden chapels. And just when you think you’ve seen it all, the city changes. An ever-changing flow of new restaurants, art exhibitions and festivals means that there’s always an excuse to revisit to Rome. 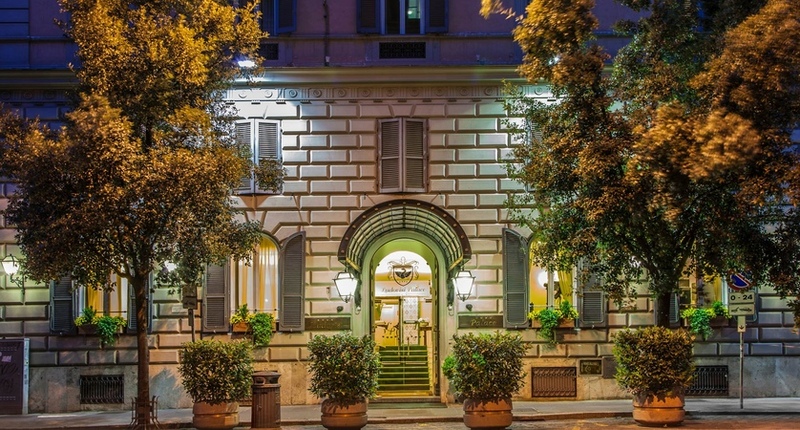 Conveniently located just off the Via Veneto and opposite the Villa Borghese gardens, the Hotel Victoria is a perfect base for exploring Rome. A modern hotel housed in a building built in the early 1900's and in a central location to explore the Eternal City of Rome. 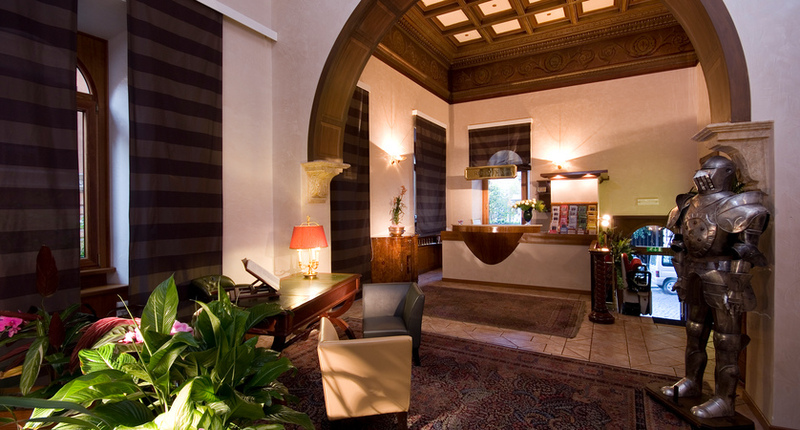 The Hotel Degli Artisti is located in the heart of the historical city of Rome. The rooftop terrace provides stunning views of the surroundings. 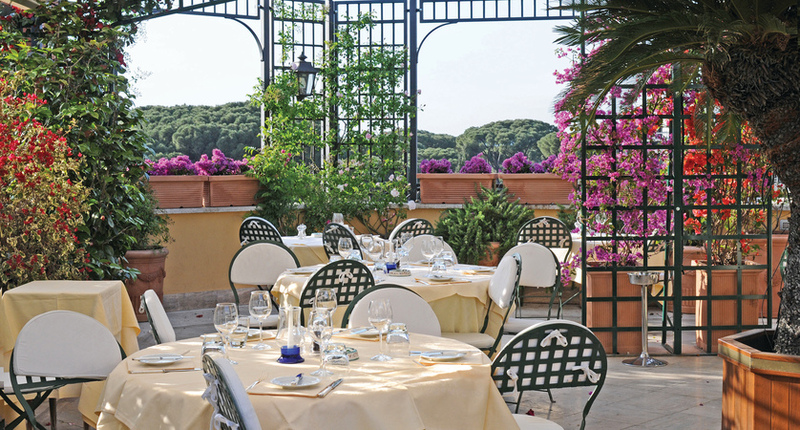 The hotel is located in central Rome, near the Villa Borghese gardens. 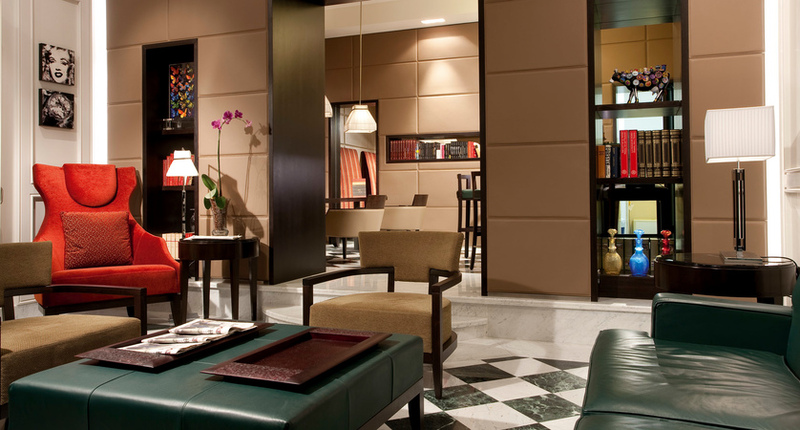 The contemporary interior combined with the traditional 19th century architecture leaves a very boutique feel. Located a few steps from the world famous Via Veneto, this hotel oozes comfort with a mix of modern and traditional styling. A warm and welcoming family run establishment, the Hotel Donatello is a convenient base from which to explore glorious Eternal City. With the San Lorenzo and Pigneto districts on your doorstep and just a 100 meter walk to the nearest bus and metro stations, there is certainly no shortage of things to see and do. 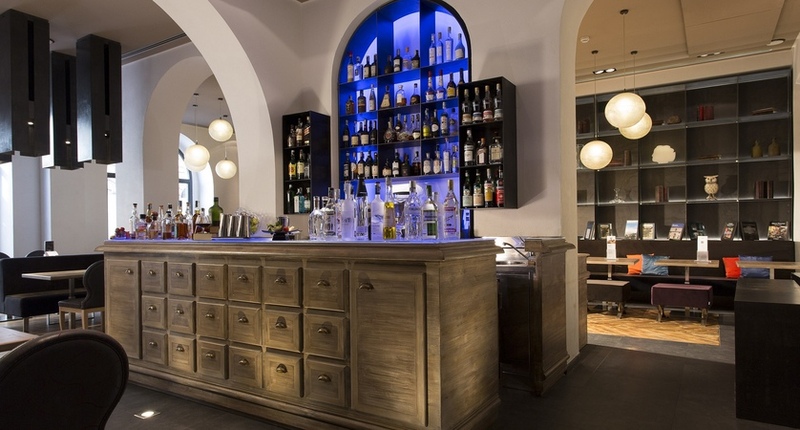 A modern hotel with an elegant rooftop bar, just steps away from Piazza Navona and the Pantheon. 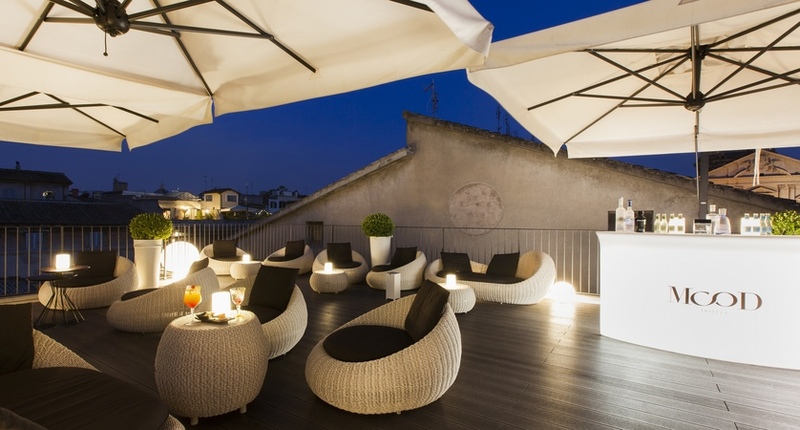 A contemporary design hotel in the centre of Rome, within easy walking distance of the city’s top attractions. 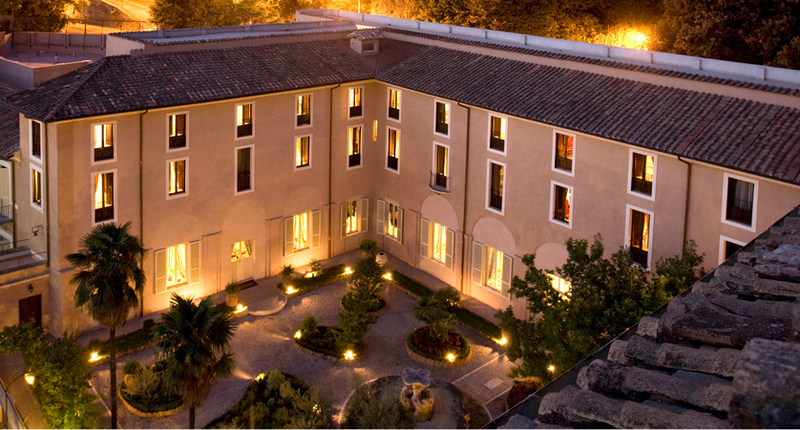 A 17th century converted convent offering a peaceful stay in the bustling capital of Italy. With its chic and simplistic decor, the Starhotels Metropole is an idyllic base for exploring all of the sites the historical city of Rome has to offer including the majestic Opera House and famous Trevi Fountain. 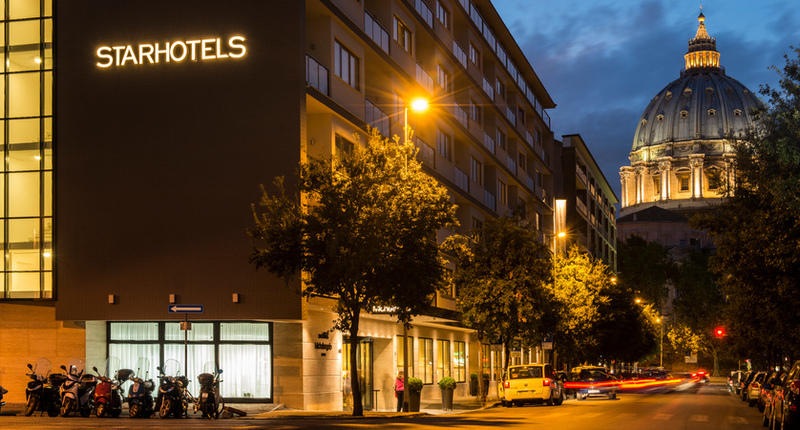 Sat just a stones throw from Saint Peter's Square, the Starhotels Michelangelo Rome is the epitome of comfort and sleek design in the heart of this stunning city. With Castel Sant'Angelo and Vatican City both within walking distance and all of Rome's hidden culinary gems and wine shops in between, the Starhotels Michelangelo truly is the perfect base to embrace the Roman way of life and explore this incredible city at your own pace. Skip the lines on the small group excursion and enjoy a professionally-guided tour of the Vatican Museums that house one of the most extensive art collections in the world. After this informative tour, you'll visit St. Peter's Basilica where you can admire Bernini's intricate detail in the building's design and admire the world-renowned Sistine Chapel. This two-hour bus tour of Rome is a great introduction to the city and stops off at some of the most popular sights. Stay for the whole tour, which has taped commentary in English, or hop on and hop off at your leisure. Discover the secrets if the Illuminati in this tour that was inspired by Dan Brown’s novel. You’ll follow in the footsteps of Dr. Robert Langdon and visit locations from the movie including Santa Maria del Popolo Church, Piazza del Popolo, St. Peter's Square and Piazza Navona to follow the ‘Path of Illumination’. Price: £54pp – includes entrance fees to Castel San Angelo. Hotel pick up and drop off is not included. With millennia of history, Rome is home to some truly fascinating sites. On this tour, you’ll head into the Eternal City’s underground burial chambers and crypts from across the ages. You’ll visit the Cappuccini Crypt that was decorated entirely with human bones, the Domitilla Catacombs (an ancient Christian burial ground) and the Church of San Clemente that has a pagan temple with ruins reaching 57 feet deep. Price: £65pp – includes entrance fees. Hotel pick up and drop off is not included. Skip the line at the Colosseum and follow your expert guide through the Gladiator’s Gate, where you’ll be able to step onto the arena floor – an area that is off-limits to most visitors. You’ll continue your tour of the rest of the Colosseum before heading to the Roman Forum and Palatine where your guide will discuss the rich history of Imperial Rome. Price: £52pp – includes entrance fees. Hotel pick up and drop off is not included. This small group excursion will take you to the quaint and charming Trastevere area of Rome. The name translates to ‘beyond the Tiber’ and this is one of the most characterful parts of the city. An expert guide will lead you through the hidden streets, past bars and locals enjoying dinner in authentic pizzerias while sharing stories with you. After the walking tour, you’ll enjoy an intimate four-course dinner at a private villa. Enjoy authentic Roman food and craft beers on this fun afternoon tour. You’ll take a walking tour of the Regola and Trastevere neighbourhoods with your guide pointing out some interesting historical sites and stopping to taste some of Rome’s best food along the way including trapizzino, a take on pizza with triangular pieces of dough filled with delicious ingredients, and freshly-made pasta. This will be paired with mouth-watering craft beer, wine or soft drinks. The tour concludes with a gelato tasting. This excursion is on request, please call to book. Price: £57pp – hotel pick up and drop off is not included. Held in the exquisite open air setting of Carcalla's Thermal Baths, this celebration of opera includes the works of Verdi, Profok'ev and Domingo. Featuring the stunning La Traviata, heartbreaking Aida and timeless fable of Romeo and Juliet, the festival culminates in a stunning ballet gala featuring famed dancer Roberto Bolle. Rome’s pantheon is a true architectural wonder. Its impressive dome was originally constructed in 27 AD. No visit to Rome is complete without seeing the smallest state. Its museums are home to the world’s greatest art. These 135 steps are known around the world for their majesty and beauty and are the perfect place to take a seat and enjoy a gelato. Tucked away in a small piazza, this impressive fountain depicts Neptune's chariot being led by Tritons with seahorses. Take a trip across the river to this lively neighbourhood with an authentic feel and family-run pizzarias. Head to Aventine Hill for a unique viewpoint of the city. A tiny keyhole perfectly frames St. Peter’s Basilica. Rome’s highest hill has fantastic panoramas over the city with bars open during the summer. These large gardens in central Rome are the perfect spot for a picnic during summer and admire the elegant villas in the grounds. These are some of the best-preserved buildings of ancient Rome and were once the city’s second largest public baths. Rome’s location makes it easy to pair with other destinations in Italy. Jump on the high-speed train and be whisked to Sorrento or the stunning Amalfi Coast; you could be in the centre of Florence in less than 3 hours; or head to the airport for a flight to Sardinia for a perfectly contrasting holiday of city and beach. Call us to help create your perfect multi-centre itinerary.